If you’re looking for a wholesale market that you can always access on your device, we have found you one of the finest ones apps out there. SimpleLots Wholesale makes it easy for wholesalers, liquidators, consignment shops and retailers to easily list their inventory and for buyers, as well. Buy and sell quickly, without hassle. Everything that this app features is well-organized, so you can easily manage it. Smooth and simple to navigate, it allows you to purchase tons of articles and put them directly in your shopping cart. Everything you put in your cart will be paid and secured through PayPal. All you have to do is quickly sign up and start making transactions, with no membership fees and no buyers premium. 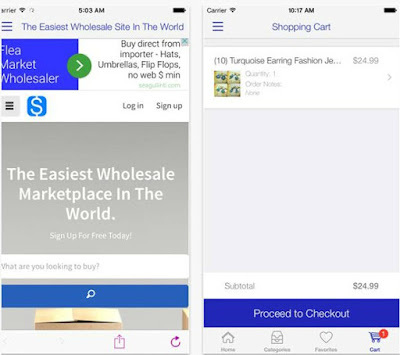 With this app, you won’t need to compete for an item you want with other users, just select and buy it. It is that simple. 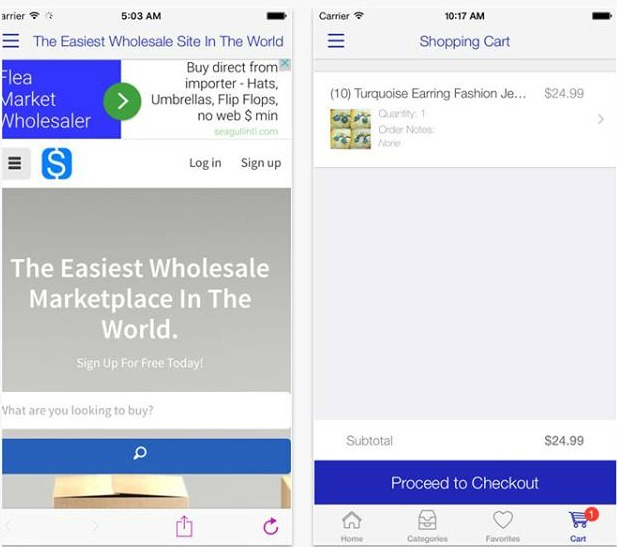 SimpleLots Wholesale is also a helpful app for the sellers. If you are a seller, download this app and start submitting and presenting your products to over 15.000 registered buyers. You can find it on Google Play and on the App Store, where it is free of charge. Sitting behind out desks for hours can be quite exhausting, so we wanted to start exercising. Why not with an app that will show us how to, we thought. That is how we discovered this amazing Health & Fitness app, called Fast Functional Fitness. It is available for all of the iOS users worldwide, the developer Norbert Grover made sure of that. 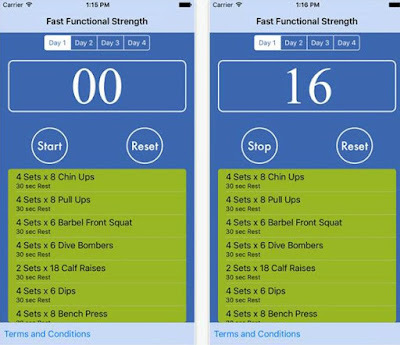 With this app you will get functional results, fast. Get ready for exercises with proven formula, which helped many customers to get in the best shapes of their lives. The training program is organized daily, so you will be able to work out according to the app’s schedule. Scroll and view the multiple types of workouts and start from the beginning. You can do chin ups, pull ups, squats, calf raises, dips, bench presses, etc. The app will inform you of the duration of each exercise and how many sets you need to do. Reset when required and continue to make progress. Turn your child athlete into a beast with Fast Functional Fitness. You can find it and download it for free from the App Store. Google Play has tons of dating apps that users can easily use for entertainment and finding new persons for friendships or dating. The goal of these dating apps is to match up the users in the best possible way. If the match up is done correctly by the app, it could lead to some great match ups and possibly new relationships. If you’re looking for a new way to entertain yourself and exercise your strategy thinking, we offer you one of the best strategy football card games. Developed by From The Bench, Flip Football is simple to play game, but very challenging and it requires great skills for mastering. From The Bench is a startup company that also has other successful games, like NBA General Manager and BVB Fantasy Manager. We chose Flip Football because of its authentic and innovative gameplay that stands out from the traditional card games. Just flip the cards of your opponent and try to win the match with getting more points. You have to develop and improve your strategies if you want to level up and participate in the regular seasons and in the tournaments. The regular season will reward you at the end of each month and the tournaments allow you to play with other user and compete until one of you is eliminated from the match. Create your best lineup, play against tons of users across the globe, win coins and earn the cards with the best football players of all time. If you want to download this amazing free game, just visit the official website and have the fun of your life. Maybe you're experiencing some trouble with keeping the right track with your finances and you need a tool that can help and guide you through this. If you do, then Bluecoins is a must for you. This financial manager app works intuitively, fast and simple. The user interface is smooth and the features are well packed in an amazing design. 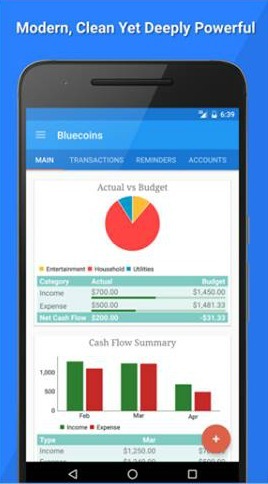 Developed by Rammig Software, Bluecoins can help you do a lots of stuff related to your finance. With its charts and reports, it will give you the understanding of your income and expense status. Monitor and record all of your liabilities, assets, net worth, account balances and much more. Everything is categorized, so you will be able to see all the incomes and expenses arranged in daily, weekly, monthly, quarterly and yearly. You should note that any data stored in this app is secured and safe. Bluecoins also allows you to make transactions with multi-currency support and record everything. You can even set up a reminder that will remind you when to pay a bill. With many more features, this finance app can be found and downloaded for free from Google Play. Strategy games are entertaining, especially the ones in which you have to build towers. The ones in which you need to also manage your players and shoot in order to pass through the levels are even more exciting. One of those games is Walkin’ Dead Tower Defense, game that is currently trending on the App Store. What you need to know before starting the game? At its core this game features classic zombie story. You need to save the world from the zombie virus that threatens to destroy humanity. In order to do that you need to built and develop defensive towers and show great strategy and shooting skills. Zombies will come at you and you have to be responsive and show great strategic skills. That means that you need to use the right weapons and equipment. There are various options and there same great options available with in-app purchases as well. The graphics is great. Everything just feels and looks great and the characters are tastefully designed – the artwork is exceptional. That makes the game to stand out from the similar games we played in the last month. There are various features, like for example building defensive methods and using different war strategies that are really great. Please note that each character has its own strength and weaknesses. So, you must use the best strategy and defend against the zombies in a smart way. One thing we can guarantee is that you will have great amount of entertainment! The game is free, but features in-app purchases. Get it on the App Store. Today we are presenting you one of the freshest arcade and action games on the iOS platform that was recently developed and released by Krabhammer Games. We highly recommend to all customers that want to make their time more enjoyable and challenge themselves with a great gameplay. The Blocky Streets game is simple to play, but very addictive and challenging. Its gameplay features many characters for you to choose from. Once you pick your most likable character, you can start putting the running shoes and try to go as fast as you can. You control the blocky character with easy tapping on the screen. You have to dodge, jump and run amongst the moving vehicles on the streets and also to dash and slide under the street barricades. While running, try to collect the coins appearing on your way and use them to level up the power-ups. They can be quite helpful. Try not to lose the game, make your own high scores and place yourself on the leaderboard. 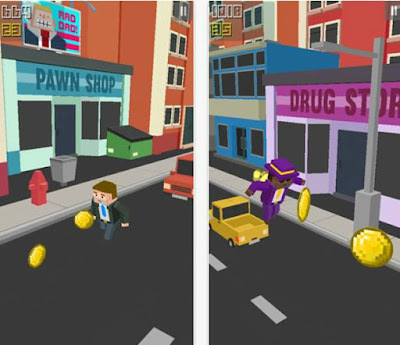 Blocky Streets will engage you even more with its sound effects and authentic blocky graphics. You can find it and download it for free from the App Store. Are you getting tired of getting beaten every time you play chess against other people out there? Maybe you want to become a champion at chess, but with each loss you’re getting more and more discouraged from the game? We’ve all heard other experienced chess players out there saying: Don’t worry, everybody starts off somewhere. But what if we told you that you don’t have to start from just anywhere? 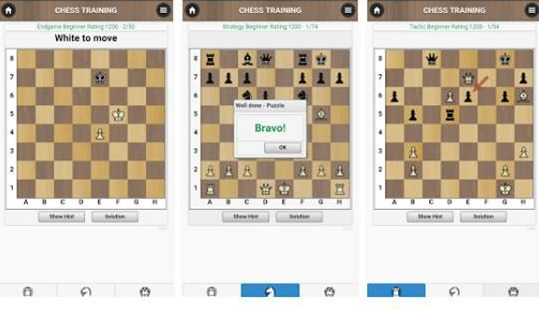 What if we told you that there’s an app out there called Best Of Chess, and it’s training more and more struggling chess players out there every day? You wouldn’t believe us, and neither did we at one point. Best Of Chess is a giant amongst other chess training apps out there. It guides aspiring players with step by step instructions, showing you smart moves in different scenarios. This app engages you in a way that makes you fully understand the thought process behind each move. 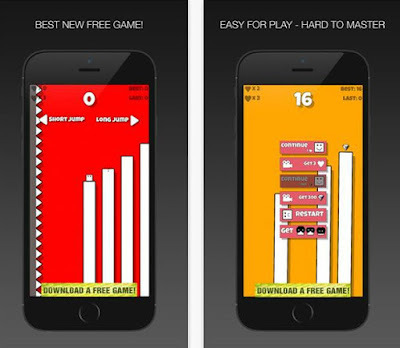 The app has three difficulty levels that you can choose from: Beginner, Intermediate and Advanced. It has more than 450 exercises, all of them hand-picked by a team of professional chess trainers. Best Of Chess is the best way available to train chess casually, and without any pressure. You can find and download it for free from Google Play. Wonder Dragons is a new match 3 puzzle game that was recently released on Google Play. It is a beautiful, neat, exciting and ultra-interesting match 3 gaming experience. The story line is unique and creative as well. Dragonland is suddenly attacked by primitive humans and orcs. As a result, they captured their land. Fortunately, Older Dragons managed to throw some eggs around the world. Now they are lost and still captured inside their eggs. You need to release them and save the Dragonland. - Lovely HD realistic with delightful and sweet graphic that will attach you. - Pulverize, crush, and impact the fruits with unique rewards that will help you pass troublesome levels. 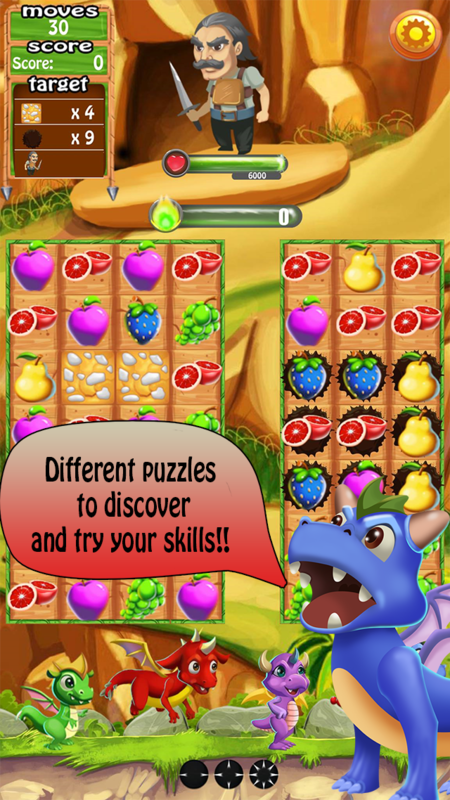 - It may resemble a basic candy game however Wonder dragons is trying to ace. - Make fruit impact combos to accomplish most extreme score and beat different players. - You can buy many power-ups to help you to complete your objectives faster and without mistakes. - Explore hundreds of level in the amazing brain challenging game and you will never feel bored while playing. - Different objectives in stages, the objectives could be brake boxes, feed the dragons, break glass, clear mud or kill enemies. - Invite your friends to play this game and enjoy playing with them for the most noteworthy score. - Unlock more levels and adventures with your achievements. - Collect fruits and get exceptional prizes. - Sync your progress with your Facebook account. - Share your achievement to your friends and brag about your progress and scores! The game is perfect for time killing, leisure, brain challenge, brain training, brain challenging, bonding with family and friends. Good for kids too. Get it for free on Google Play. All of the already existing media have been already transformed into apps, so as radios. There are plenty of traditional and Internet radio stations available for your phones and tablets, but today we have one of the coolest radio apps to present to you. We're talking about Stovetop Radio, available on both Android and iOS platforms. Easy to use, with friendly user interface and unique design, it will keep you entertained all the way. 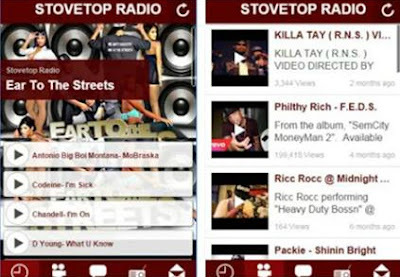 Stovetop Radio app is developed by a team of developers who wanted to make an app that will be a true ear to the streets. It contains various call and talk shows where everyone are talking about street politics, all kinds of celebrity news and interviews. Once you install it, you will face its pleasing graphics and the rich menu. The radio app features multiple tabs to choose from, like Recent, Videos, Feed, Live and Contact. In the video section, you can watch hot hip hop music videos and in the Recent one, you can listen to music from many Hip Hop and R'n'B artists. Browse through the feed or watch the live radio shoes or contact the developers if you want to promote your tracks and mix-tapes. Either way, whatever you choose will make your time more enjoyable and make you feel good. Download this light and ad-free app for free from Google Play and from the App Store, as well. If you are looking for an app that can tell you if there are any incidents in your neighborhood and offer you tracking and reporting them, we have the perfect fit for you. 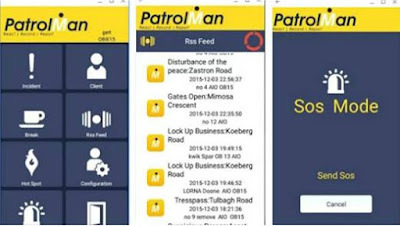 PatrolMan is quite new productivity app on the Android platform that can provide any user with amazing features and clean and tidy user interface. Simple to use, PatrolMan is a revolutionary Android app that is connected with Neighborhood Watches, for your recording and observing process. Keep an eye on patrols, patrol milage, react and record the incidents and then report them. For using this app, you will need to register on the official website and sign in... Check the app's key features and see how it works with the details demo/demo/demo that are required when you sign in. Also, this patrol app enables you to analyze crime and the hot spots with the help of the adds, react, record and report. Within the well packed beautiful menu, you can find the RSS feed option where you can read tons of related articles. Send help to other users with the SOS button and enjoy it anywhere and anytime. You can find it and download it for free from Google Play. If you like editing your photos and add something that will make them unique you should download Bokeh Professional. A free Android app that can help you turn your photos into something more creative by adding Bokeh and focus on them like a pro. Created by Thorus Productions the app is working with amazing features and a great clean interface. When you download the app the first thing you notice is that it’s very easy to use. You can add different Bokeh effects or even focus on other effects as well. The effects you can use will only cover the areas you select and they won’t be covering your face. The area you are focused on can be softened out so that it looks more natural. The new version allows you to automatically crop your photos. Your pictures can be turned into very good and creative ones with just a little effort. When you're done using the app you can share your pictures on social media sites so that your friends and family can see it. Bokeh Professional is ad-free, completely functional and it can be downloaded for free on Google Play. If you want to save some spare change which you can use later for shopping at your favorite store, we have a cross-platform app that can help you. It is called Seashells and it is available for both iOS and Android users. With lovely user interface and amazing design, Seashells can save you money and offers you many rewards. Install the app and sign up to enjoy its wonderful features. Just connect it with any of your credit or debit cards and start purchasing items. On every item you purchase, you will automatically round up your transactions and with it, save the spare change. On top of your savings, the app will reward you with 15% bonuses. Save you money without any effort and then buy anything you want from your favorite stores. Seashells features over 180 places to choose from. Saving money with this app can be both fun and easy. 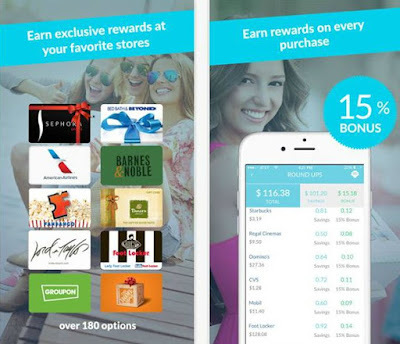 Shop anything you want, save your spare change and redeem awards right from your phone. It is that simple, yet priceless. You can find and download this app from both Google Play and the App Store. 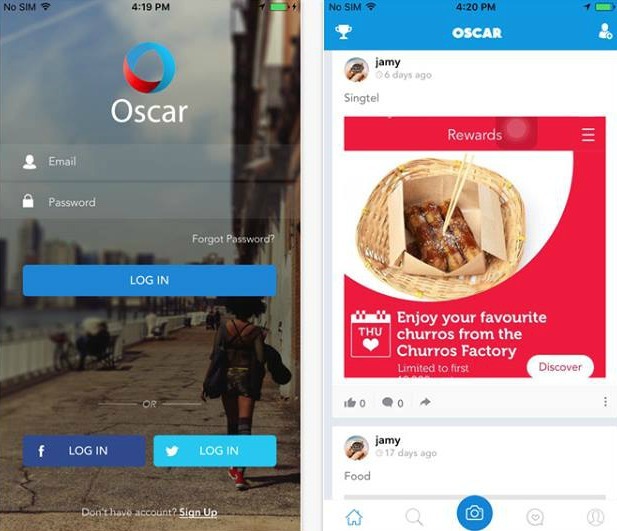 For all of our readers who enjoy social networking apps, Oscar is the one for you. This fresh app, now available on the iOS platform, can bring you pure excitement and lovely fun features. Let it become a part of your everyday routine and start socializing with users from across the world. Oscar is a well-organized app that includes friendly user interface. If you want to enjoy what media other people are posting, follow more and let them follow you. You can express yourself and write your own thoughts by posting images and live streaming videos. Browsing the old archives can also be entertaining. Watch what people worldwide are doing and interact with them if you want to. Chat, like, comment and even send private messages, Oscar allows it all. The live streaming videos are making Oscar your personal live stage. All of the attributes within will engage you and make you enjoy it anywhere you are, anytime you want to. Download this dynamic social media app for free from the App Store, sign up and have fun with it. Welcome to the space! Get ready to play and experience one of the most authentic cross-platform games, called Interstellar Defense. Developed by RedForce Games, this strategy game will both addict you and entertain you to the fullest. With HD graphics, planetary backgrounds and cool Sci-fi soundtrack, it will amaze you just like it did it with us. Interstellar Defense allows you to explore various wonderful planetary systems and planets. 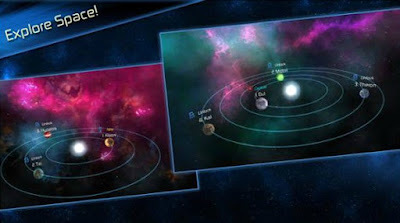 There are 15 different planets for you to capture, research and scan for resources. Your main goal is to fight with the enemies and defend your planets where the humans have evolved. Think strategically and choose the best weapons for your battles and use some of the multiple power-ups to help you reach your goal. Play through 200 difficulty levels and gain more XP in order to unlock more weapons and levels. Besides the stunning gameplay, this strategy game features 25 achievements for you to unlock and a leaderboard where you can compete with all of your friends. Reach higher scores and endless fun on your device by downloading this app for free from both Google Play and from the App Store. If you're having a hard time finding the perfect app for your toddler or little kid, look no further! Dino Coloring Book is an educational app that was recently presented on our blog, and now we are pronouncing it as Android App of the Month as we truly think it can offer great value to our users. It can really help and keep your child entertained for hours while increasing its creativity. This app displays with variety of different coloring pages that your child can color endlessly. The included sound effects and melodies are making the app more engaging and interesting. Feed the Spider is a game we recently reviewed and we still can't get out of our heads. This smoothyl designed casual game, with beautiful creative and tasteful artwork is still one of the most played games in our offices. 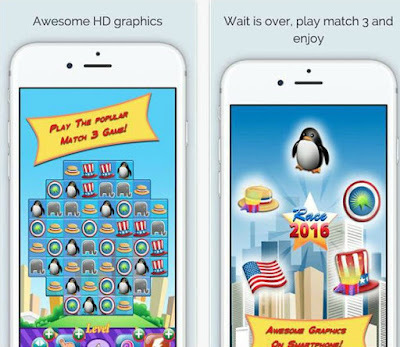 Designed for iOS users and for all ages, this game could definitely entertain you in your free time. The game is developed by Guilherme Barbosa and it has beautiful 3 forest themes where the gameplay is set and cool character too. At first, you may think it is easy to play, but as you play through the levels, you will see how challenging it is. There are 1200 levels to complete, so you try to win as many as possible and improve your skills. 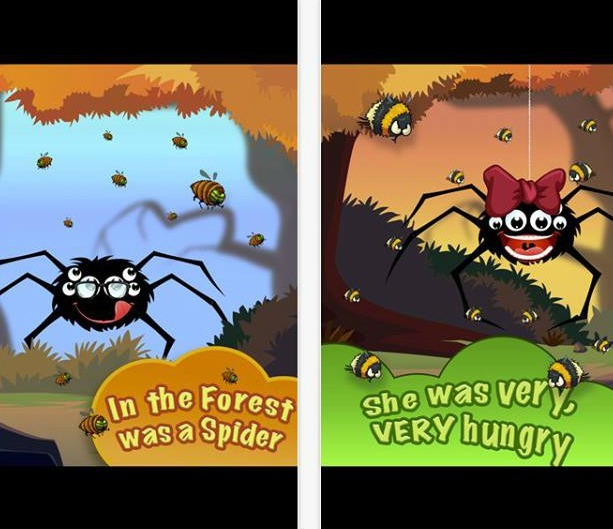 You play with the cutest character ever, the spider who is very hungry. Feed her with the juicy insects (there are 12.different: bees, wasps, mosquitoes, beetles, etc.). Catch the insects you can find and try not to hit one of her legs. But anyway, even if you lose, you will be able to start all over again. Feed the Spider also features 450 quotes and info about spiders and insects. That way, not only that you'll enjoy playing, you can also learn and find out cool facts. You can find and download the game for free from the App Store. Due to various stresses that we are experiencing every day we build-up bad emotions and thoughts that can later turn into any form of depression, anxiety, sadness or lack of motivation and will. That is why today we are introducing to you one of the most helpful apps on the Android platform. LightExistance is created by Dynames Productions who made it simple to use, with priceless useful features. LightExistance can become a huge part of your treatment and willingness to improve your physical and mental health and encourage you to bring back the passion in your life. It can help you in a number of ways. 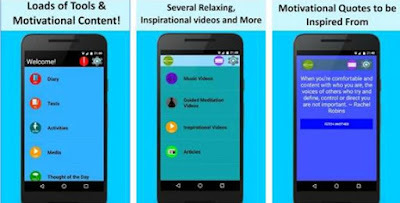 For example, you can watch many music, motivational and meditation videos that can relax you and inspire you. You can express your feelings in the journal, test yourself to determine if you’re going through any form of depression and record all of the activities that brighten your mood. The motivational quotes and the thought if the day can also offer help. Understand the depression better with the app’s informational articles from various resources and find a way to help you deal with it. You can download this amazing app which is ad-free, with no in-app purchases for free from Google Play. Entertaining iOS App - What the BLANK?! 7:52 PM App Review, Entertainment, iOS, iOS App, What the BLANK?! Today we are suggesting to all of our readers the one app that kept us entertained since one of our staff member found it on the App Store. It is quite new and fresh iOS app in the Entertainment category, but contains wonderful amusing features that can make your time more interesting. What the BLANK?! makes hilarious combinations of your own recorded words which are as fun as they can get. When you start the app, it will open a list with stories within. Pick the one you like the most and start filling the blanks. 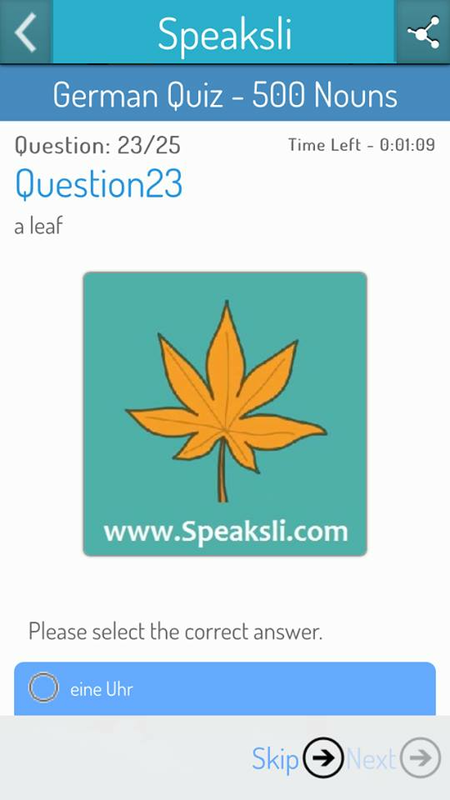 Then, the app will offer you multiple questions for you to answer. Record your audio clip for 60 seconds. Now, here comes the fun part! The app will mix your answers and it will produce ridiculous story. You can listen to it and save it share it to anyone. It doesn't matter if your family and friends doesn't use this app. You can share your recorded stories with them throughout emails, texts, etc. Compatible with both iPhone and iPad, What the Blank?! contains many in-app purchases with more stories, for more fun. You can purchase them or enjoy the free ones. Download it from the App Store. 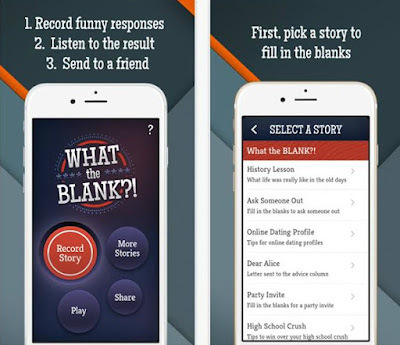 App Store Download Link: What the BLANK?! Healthy Reminder is an Android Health & Fitness utility that can be of great use to users that are caretakers of senior citizens. With this simple tool you will always be notified if the person you take care of is taking the proper medications on time. This will especially help people that take one, two or more medications. It is a pill and medication reminder app that is easy to use, simple and intuitive and it will do the job perfectly! Fast, smooth and lightweight, this app does the job very efficiently and the users don’t need to be tech saavy to make use of its features. The app requires from the user to set up an emergency contact. 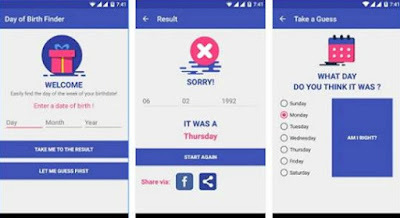 If the user forgets to take any pill, the app will remind the caretaker or the family member to call the user and see why he/she hasn’t taken the needed medication. Healthy Reminder is both a medication reminder and caretaker app. It is a useful tool that anyone can benefit from it, especially when you take into account that the average senior population citizens take tons of different medications and supplements. Healthy Reminder is totally free and is available on Google Play. Alicante, April 14, 2016 - From The Bench launches Flip Football for iOS, Android and Facebook. It’s a game that’s known for being simple to play, but you need great skills to dominate. Flip Football is a football card game based on strategy, where the objective is to flip as many of your opponent's cards as possible, getting the most points to win the match. With this new game, the company from Alicante distances itself from the traditional “trading card games” with an innovative game play, different from any others that we’ve seen in the sports category. The development of the game was inspired by the original card games but with a Player vs Player mechanic and in real time. It’s also very addicting! · The regular season, in which at the end of the month you receive a reward according to the highest division you’ve reached. · Tournaments, in which the user can play in each round, but if the user loses the match, he/she will be eliminated. · Friends, a format which allows the user to enjoy defeating his/her friend up until the very last toss. Additionally, the users that reach the highest division will compete in a very unique competition in which only the best users play, with very exclusive virtual rewards. Flip Football was developed by the Spanish company, From The Bench, which is specialized in the development of social sports manager games on multiple platforms: iOS, Android and Amazon. In addition, From The Bench has other successful games such as Fantasy Manager Franchise, with more than 25 football club licenses, and NBA General Manager, with the official license of the NBA. Their games have accumulated more than 60 million downloads worldwide. Looking for a new game that can make your time more interesting and entertaining? Well, stop looking because we have the perfect suggestion for you. 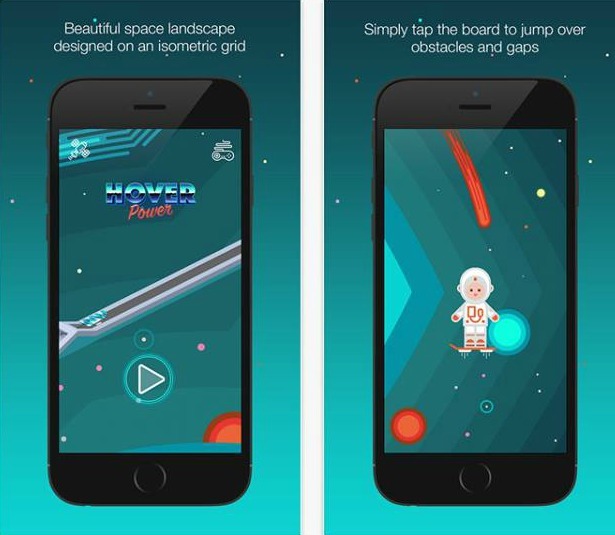 Cube Hopper 2D is one of the most addictive games on the iOS platform. It is recently developed and creates with unique gameplay that is easy to play, but hard to master. The gameplay of Cube Hopper 2D features one cool little character that you control with your fingertips. The main goal is to jump on the white tiles and not missing them. Any miss you make, you will fall and lose the game. You can do short jumps with tapping on the left side of your screen or do long jumps with tapping on the right side of your screen. One short jump brings you one point ans the long jump, two points. Try to earn more points as you jump and avoid the spikes on the wall coming from your left side. You can always restart the game if you lose and with it, improve your jumping skills. Time your jumps and have fun with this amazing iOS game. Download Cube Hopper 2D for free from the App Store and share it with all of your friends and family for more amusement. If you're having a hard time finding the perfect app for your toddler, look no further! 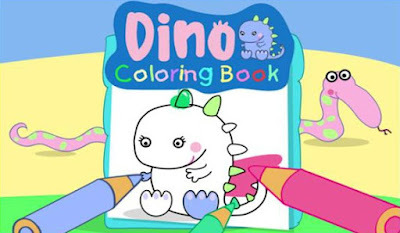 Dino Coloring Book is an educational app that can keep your child entertained for hours while increasing its creativity. This app displays with variety of different coloring pages that your child can color endlessly. The included sound effects and melodies are making the app more engaging and interesting. All of the already existing photos sharing apps are either requiring connection to your social media or connection with your mobile number. If you want to avoid those troubles, we recommend Groupr. It is the most authentic app out there, available for both Android and iOS users. The developers created the app simple to use and packed in wonderful design. Having the time of your life is the one thing that needs to be captured with your camera. With Groupr, you can share all of those memorable moments with anyone you like. It allows you to create groups that can be private or public. Create a group without even going through the long process of connecting with your email, number or any social media you use. Add as many images as you like in your group and keep it personal with your group members. They can comment, like and even download them. You can also join public groups and see what’s going on around you. Share your pictures with your friends and stay connected with them and other groups without connecting. Groupr is the best app to relive all of your memories. You can download it for free from both Google Play and the App Store. Are you in search for a game that will make your time spent on your device more valuable? Look no further, because Feed the Spider is the game you've been looking for. It is designed for all of the iOS users, no matter the age. 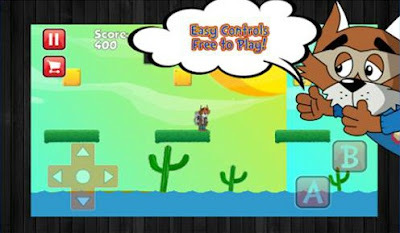 Anyone can enjoy and have fun with this amazingly created game, developed by Guilherme Barbosa. It has beautiful 3 forest themes where the gameplay is set and cool character too. When you are feeling unwell, the last thing you want to do is drag yourself to your doctor’s office and have yourself checked. The appointment waiting, going through crowds and traffic and the long waiting in the reception area can only make it worse. Well, now it can all be avoided with the best iOS and Android app – DocChat. Easy to use, it provides video and audio consults with the most experienced doctors in your area. 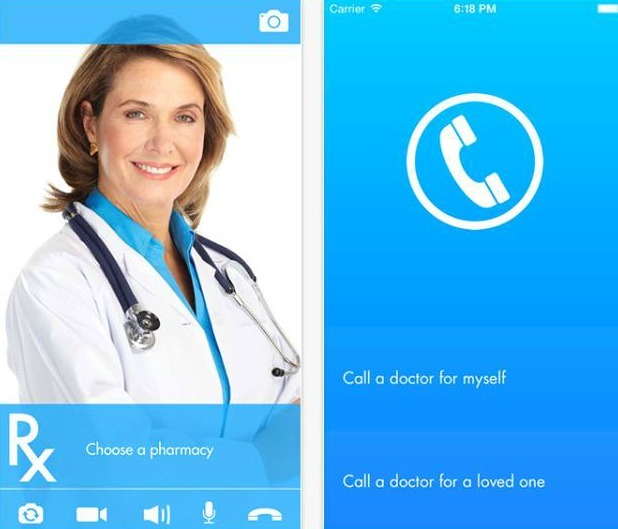 Developed by DocChat Telemed, with this amazing app you will be able to see a doctor in 15 minutes and get your diagnose and prescription. Just install it and create your account, it is that easy. Choose a doctor and talk how long you need to, there are no time limitations on your call. You can access and get a licensed and experienced physician 24/7/365. Also, you will be able to make a follow-up within 7 days of your first consultation and see how you’re health improved. The doctor you talk to will send electronically the needed medical prescriptions to a pharmacy in your area. Add anyone on your list, your children, your grandparents – call for yourself or call a doctor for a loved one. Stop the copayments and covering your expensive deductibles, download this incredible medical app from Google Play and from the App Store. Race 2016 is an exciting strategy puzzle game brought to you by Wojo Productions. The game focuses on both strategic gameplay and presidential elections, so if you’re into both of those things then this game is a perfect match for you. It has a fun and unique approach towards elections and debates, making it highly entertaining but serious at the same time. It’s designed in such a way that you have to thoroughly plan out your actions, fully engaging your thinking process in a challenging way. The game has tons of different levels, so you don’t have to worry about it ending without you fully experiencing it. Presidential Race 2016 has the most peaceful and fun graphics and interface that allows both children and adults alike to have fun with it. The game has over 300 levels, each one becoming progressively harder to finish than the previous one. It also has a huge array of power ups, some being slower and more challenging to acquire. As we mentioned, the game has strategy on its mind because each and every move you make can either win or lose the game for you. Because of this, you have to plan out your moves ahead of time in order to make the right decisions. So start planning your own presidential race by downloading Race 2016, and have fun in your own way during the debates. You can find and download it for free from the App Store. 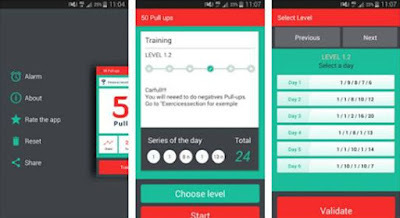 If you want to get in shape in no time and build muscles at home, then you must have 50 Pullups Workout app. Created by DMZ Media, this Health & Fitness app offers great exercises and awesome training program and allows you to reach your goals faster and more effective. Besides, it is simple to use, it features really clean UI, so you won’t have problems working with it. 50 Pullups Workout is nothing like the other fitness apps. It contains the best pull up routines to help you lose the weight you want to and shape your body. There are lots of negatives, chin-ups, wide pull-ups and military pull-ups included, all presented with a video for you to know how to do them exactly. The leveling progression within is also very helpful. You can select the level you want to start with and start exercising. Try to reach 50 pull-ups in a row, but make sure you get the rest you need. Also, schedule your workout time with the app’s alarm clock. Every workout that this app contains is designed by professional trainers, so you will quickly advance, step by step. Jump on your way to get fit and healthy, download this app for free from Google Play. Do you come from the Super Mario generation of games? Have you ever wanted a game app with similar gameplay that doesn’t look like a cheap spin-off from Super Mario Brothers? Well grab your phones and turn that Wi-Fi on, because we have a great recommendation for you today! Super Senor Gato World is a great adventure game featuring Gato the brave hitchhiking cat. Help this feline on his dangerous path back home. Super Senor Gato World has 80 awesome levels of adventures, all spread out on 4 beautiful game worlds. It has tons of diverse and interesting enemies, including 4 final bosses. Its easy controls and retro gameplay make it quite intuitive and timeless. There are achievements and leaderboards that make this game really fun and rewarding, especially since it encourages you to be competitive with your friends. It has funny animations and gorgeous high resolution interface and graphics. It’s also highly suitable to all genders and kids of all ages. Download the game and enter a land filled with adventures, epic castle battles and more. Don’t be hesitant! After all, the game is 100% free to play. You can find and download this game on Google Play. 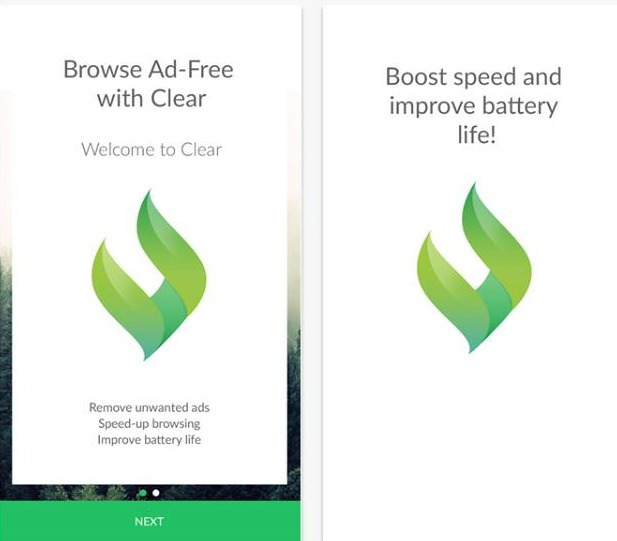 Today we are introducing you with the perfect ad-blocker on the App Store - Clear. It is one of the freshest and most useful productivity apps available for all the iOS users. It can make your browsing simpler, faster, ad-free and more enjoyable. Easy to handle, with amazing and friendly UI, Clear is created by Clear Apps LTD.
All of the iOS users out there can now enjoy the web browsing via Safari and block those evil ads that can get quite annoying. Clear does not use any kind of tracking systems, so you can stay private. Browsing the will be faster, up to 4 times and your battery will now last longer. This app boosts its life up to 20% and reduces the data consumption up to 50%. Your browsing via the Safari browser will be enhanced and with no clutter, with improved speed and ad-free. Create your personal whitelist and decide which websites are the ones you want to see ads from by simple writing them down. Remove all of the unwanted ads and speed up your Safari browsing with your longer-lasting battery life. Easy to use and quick to set up, you can find and download Clear for free from the App Store. 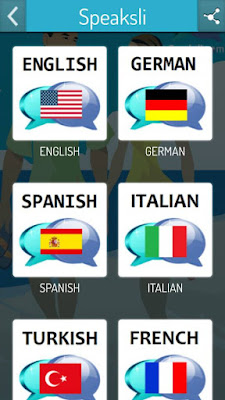 There are many educational apps that can teach you some specified language, but today we have one that can offer multiple language learning called Speaksli. 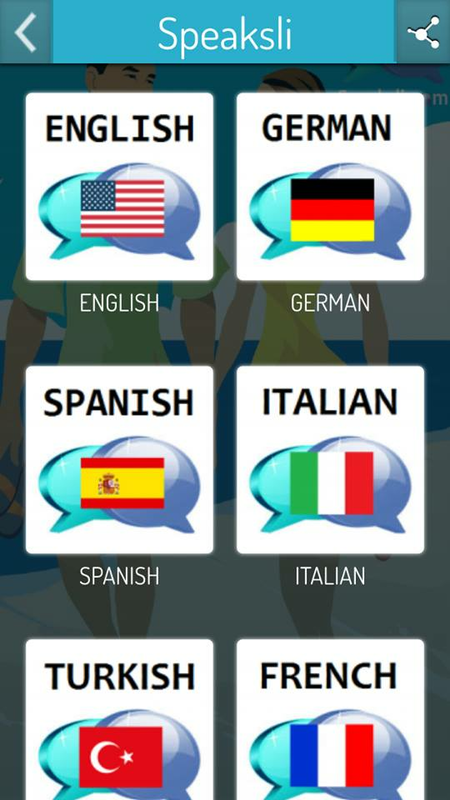 Speaksli is the freshest and most innovative app on the Android platform, combining visual cues and audio in a way that helps ease the process of learning foreign languages. The developer team created the app with a very friendly user interface and pleasing design. It is easy to handle, so when you install it, you won’t have problems figuring it all out. 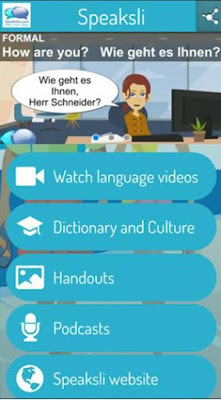 It enables you to watch language videos and learn different languages, like English, German, Spanish, Italian, Turkish, French, Russian, Swiss German and soon Arabic, Japanese and Chinese. Also, you can play and learn from the featured quizzes and read the dictionaries within the app. There are handouts, podcasts and an “introduce yourself” button where you can enter your personal info. Speaksli can teach you the language you’re most interested in and keep you entertained along the way. You can also check the app’s website and its social media websites. Make sure your friends and family find out about this app, the will enjoy it too for sure. You can download it for free from Google Play or the Apple App Store. It often happens to most of us to forget the number or email someone told us and lose the information we received. Well, we have found the perfect solution for you – SFERA. It is fresh app on the Android platform that is compatible with any Android devices. 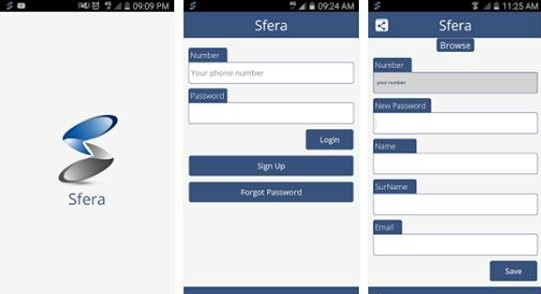 Designed and developed by Cristian Sfera, this app is easy to handle, so any user can quickly manage it. This easy to use app allows its users to receive and send contact information. Create your account and log in order to write down your name, surname, email, number and upload your profile picture. When you’re done, you can share the info to whoever you want to. Also, other users can send you their info for which you will be always notified. Anything you receive can be added to your personal address book or downloaded in a folder. You can send and receive files up to 5MB, like jpg, png, doc, docx, txt, pdf, etc. Forget about forgetting! Don’t lose any information anymore and stop sending expensive emails and messages, because now you can have it all with downloading this wonderful communication app. It is free on Google Play. If you are a game lover and you like to try a new role playing game, you should download Heroes Sim. Available for both Android and iOS users, this game is quite a challenge and it offers dozens of features that will keep you entertained for hours. The developer designed the game’s interface really clean and the gameplay exciting and fun. The gameplay of Heroes Sim is easy, yet addictive. You can make your own heroes that you can send to battles. In the battles, your heroes will try to win as much gold as they can and earn greater experience. Just select the preferred target and let the heroes fight for themselves. The more you send them to battles, the better skills they will earn and you will get to higher levels. While your heroes’ stats are getting better, you can always check your ratings and see how you’re doing. Even if the app is turned off, they will keep battling and fighting. You also get to earn more coins and crystals which you can use to buy new weapons, armors, shields, magic and other stuff from the shop and you will always have access to them in the inventory. 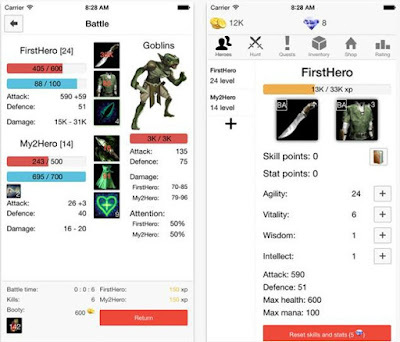 Heroes Sim is a free game, but there are multiple in-app purchases. Enjoy this amazing game by downloading it from the App Store and Google Play. Today, we have the best RSS feed reader for all of the iOS users out there, Apollo Muse. It is designed beautifully and brings all kinds of art, design and technology information at the tip of your fingertips. 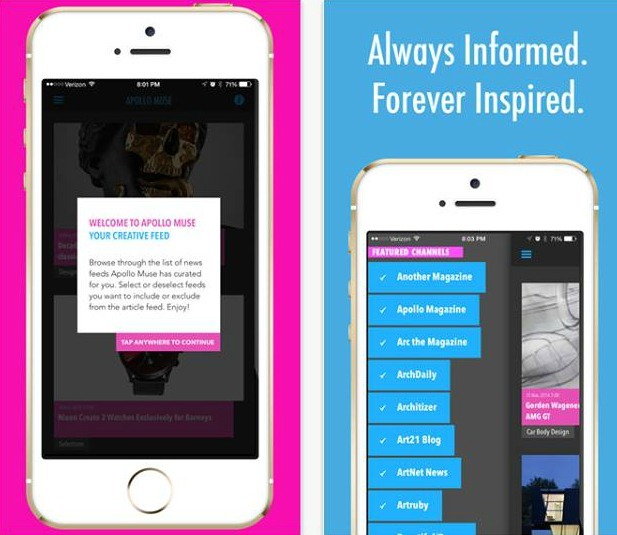 Simple to use, it will keep you up to date with the world most popular news and trends related to art and design. Apollo Muse is the most inspiring app on the iOS platform, the developer team Apollo Television made sure of that. It collects tons of articles from a list of latest breaking news, putting everything into a one easily manageable app which you can enjoy anywhere you are, anytime you want. It features news, headlines, reviews, exhibitions, information about gallery openings and art auctions, anything you can imagine that is related to the world’s most cutting-edge art and design. The art world is finally in one place, just scroll and read whatever you are interested in and always stay informed and inspired. With this wonderful app, the audience will stay informed, the publishers get more readers. Download it for free from the App Store and share it with all of your friends. If you are an Android 5.0+ or 6.0+ user and you want to own the best app lock available on Google Play, we have found you the perfect fit. 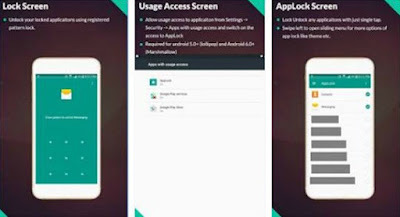 Secret App Lock for Android is an awesome protector which will allow you to protect your apps with a secured pattern code – lock your contacts, emails, SMS, photos, Facebook, Snapchat, or any other app on your device. The app is easy to use and you will quickly figure out how it is working. When you start the app, you can create your pattern lock for protecting your apps and confirm it again. Once that’s done, the app will offer you a list with “Apps with usage access”, so if you’re an lollipop user just switch on right and make it on and if you’re a marshmallow user just turn on the permit usage access. Finally, you can add your security question and answer just in case if you forget it and need to restore it. Secret App Lock for Android can help you lock your apps with a simple tap on the on and off button. Hide everything you want in private vault location, like photos, audios, files etc. The best feature is that you can choose from multiple theme colors and set the desired one. Download this app lock for free from Google Play. The cute plane flight games are a great way to relax after a stressful day. Today we will talk about the iOS arcade flying game called Flight 88. This entertaining game will surely help you enjoy your free time even more with its interesting gameplay, lovely cute graphics, pleasant color selection and sound effects. It is one of the most entertaining new games you will play this week as well, as it was released only 4 days ago. Are you addicted by slots machines? Maybe you’ve searched for that perfect slots machines app out there, but you still can’t find one? Well we’re here to recommend to you the perfect slots machine game currently available. This game has everything that you can expect from a game like this, and even more. The game in question is Wild Cherries Slot Machines, and wild is what it is! Wild Cherries Slot Machines has some of the most amazing graphics ever put on a game like this. 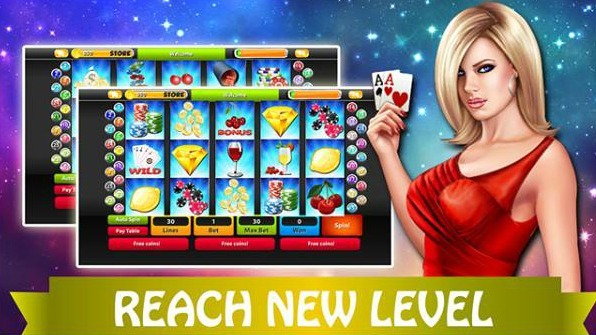 The game has tons of cool and exciting interactive bonus games filled with hours of gameplay. And even though this game is 100% free to play, you also gain free bonus coins for every hour that you play! You can win big money, and use boosts to win even bigger numbers. Use the game’s auto-spin option, which is perfect for casual and relaxing hands-off gameplay. Thanks to its design, the game is really easy to access from anywhere, anytime and from any device. It is most certainly one of the fastest growing slot machine games out there. The game works perfectly even when you don’t have an available Wi-Fi connection, which makes it perfect to play when there’s no Internet. You easy find and download the game for free from the App Store. Are you informed of what day of the week it was when you were born? Maybe you are asking yourself was it Sunday, Monday or maybe Friday? Well, stop wondering because with Day of Birth Finder you can find out quickly and easily. This Android app is quite new on Google Play but it is very promising because it is both fun and helpful. With Day of Birth Finder you can try and guess what day it was when you were born and choose between the days of the week. Then you can find out if you were right or wrong. It provides with simple and fun little game, you will amuse yourself and your friends. If you don’t want to guess, you can jump to the answer immediately with entering the date of birth and tapping on the other button (Take me to the result). In that way, the app will show you the exact day of the week. Created by Simplify Technology , this tool can be fun for your friends and family – just share the results on any social media you use or via email and surprise them by knowing. Besides, it is simple to use and contains neat and clean UI. You can download it for free from Google Play. Buying a new house or any type of property can be hectic. When the moment comes, we tend to overlook many things and end up making mistakes and getting burned after wards. Several days ago we were introduced to a great app that can spare you from any unpleasant situations while buying or renting a property. House Inspector has the goal to be your main tool and helper for selecting the best possible property. Available for iOS, Android and Windows Phone, this great app has already earned critical acclaim because of the great set of features and the unique functionality. Today we have the ultimate retro game for all of our readers. Relatively new, Breaker Bricks 76 is one of the most entertaining games you can find these days on the Android platform. 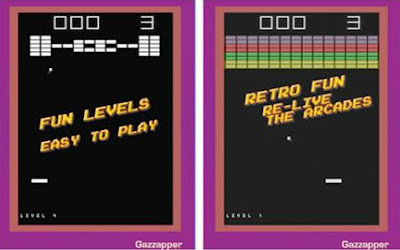 It is an arcade game full with colorful backgrounds and addictive retro gameplay that will glue your hands to your device. Breaker Bricks 76 features multiple appealing characteristics that can attract users of any age. Besides the original retro arcade look, it has 8 bit entertaining sounds and effects and color plastic overlay mode. The gameplay is familiar and really simple, yet challenging. Use your fingers to move the paddle/bat in order to hit the bricks and get to the walls. Try to reach higher levels and make your own high scores. The progression, with the increasing difficulties of its levels, is what makes the game so addictive. If you smash all the bricks in one level, you will get to the next one. It is a great way to pass your time, wherever you are. Invite your friends and family to join and compete with each other. Easy to play and retro fun, you can get this classic game for free on Google Play. If you are looking for some tool that will improve your hearing experience on your speaker or your headphones, look no further, because we have the perfect match for you. 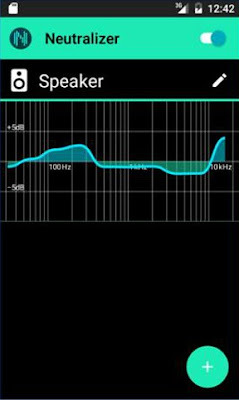 Neutralizer is a sound equalizer created for all of the Android users and the developer team made it really easy to use. Unlike other products that make ready profiles for sound distortion, this one restores the sound and you can adapt it by yourself according to your own acoustic characteristics. Every person has different hearing abilities and different parameters (signal frequency range, amplification path, frequency response, photoacoustics). 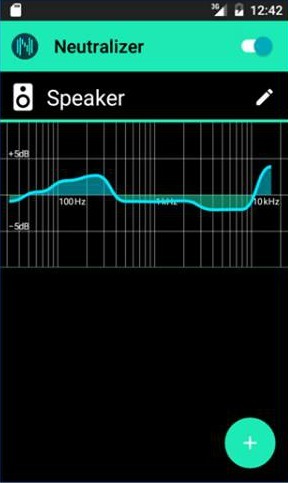 Stop changing your hardware, just adjust the sound to your ears with Neutralizer. If you use it wisely, you can minimize the deficiencies of your acoustic tract with testing some of your listening abilities. Create a personalized profile with only a name and an icon required and start testing and adapting. The examinations can be made really easily and then you can improve your hearing on your speakers, your headphones, your Bluetooth headphones, and even on your car kit. Download this amazing sound enhancer for free from Google Play. Texting Code Quiz – The best word game ever!